“Driven to Suicide by Pressure to Sell Medicine.” That was a page one headline in the New York Times this week. Two Times journalists tell the tragic story of Ashish Awasthi, a 27-year-old sales rep for Abbott Laboratories, one America’s largest pharmaceutical companies. Awasthi jumped in front of train and took his own life leaving a wife and two young children behind. Beyond the personal tragedy of a family losing their loving husband / father, is a deeper story. It ends with a note found in Awasthi’s pocket. Anyone in sales knows there is always a push by management to sell more. That is how companies make money. In pharmaceutical sales, however, pushing too hard comes with a very high price. As a False Claims Act (whistleblower) attorney, I see a constant stream of hard working people that come to us because their company is doing something illegal. When the government is a victim of greed and corruption, we can take action and the whistleblower can earn a significant award for his or her information. Because Medicare and Medicaid pay for much of the pharmaceuticals dispensed in the United States, we have a front row seat on sales practices of big pharma. In the Unites States, pharmaceutical companies have paid billions of dollars in fines – billions – for improper (and highly illegal) sales tactics. And they keep doing it. Pushing doctors to prescribe medications for uses not approved by the FDA (“off labelling)? Illegal. Yet it happens daily. Paying docs to prescribe a certain drug over a lower priced competitor or generic? Illegal. Charging Medicaid programs too much money for a drug? Illegal. Pharmaceutical sales reps are caught in the crossfire. They are pushed hard to sell, sell, sell. 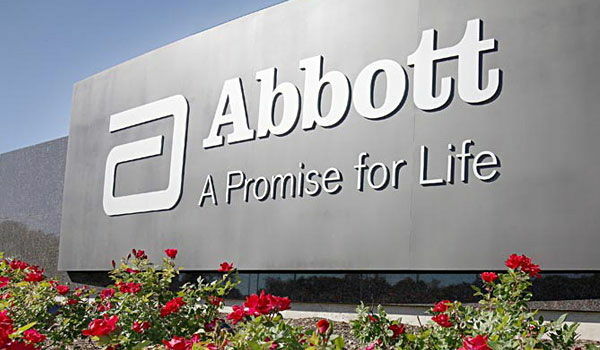 Often they cross the line yet when they are caught, the company will feign ignorance and blame the sales rep.
Awasthi was a sales rep for Abbott in India but the violations we see happen routinely in the United States. It isn’t as if sales rep walks into a doctor’s office with a bag of cash here in the US. The corruption and illegal kickbacks are subtler. A phony teaching or research grant, meals for staff or a big push to “educate” doctors about some new use for their expensive new drug… a use not approved by the FDA. Unlike India, retaliation is also illegal in the United States and the anti-retaliation laws vigorously enforced. We can also help protect your identity if you choose to become a whistleblower. Can pharma workers outside the United States get an award? Yes, although the reward structure is a bit different. The U.S. government will pay awards for information about unsafe drugs (cGMP violations) coming into the United States and will also pay for information about certain pharmaceutical companies paying bribes to foreign officials. Whether you call me, the Pharmaceutical Integrity Coalition or some other lawyer, make sure you report illegal activities. More and more pharma workers are coming forward but we still have a long way to go. About the author. Brian Mahany is a lawyer representing whistleblowers throughout the United States and worldwide. He holds the distinction of being lead counsel in the largest whistleblower case in history. Any inquiries are kept confidential. Brian can be reached at [hidden email] or by telephone at US (414) 704-6731 (direct dial).